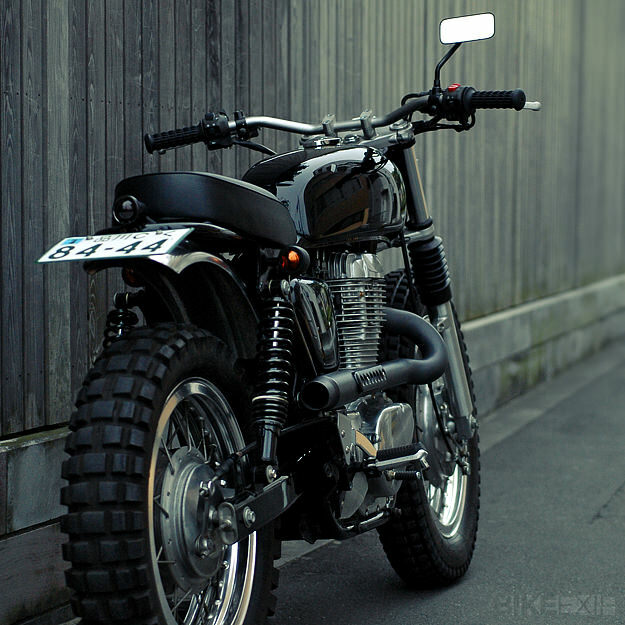 Tokyo has one of the world’s most vibrant custom motorcycle scenes. It’s dominated by names like An-Bu, Ritmo Sereno, Sanctuary and Sundance. But here’s a new entrant worth keeping an eye on—Speedtractor. 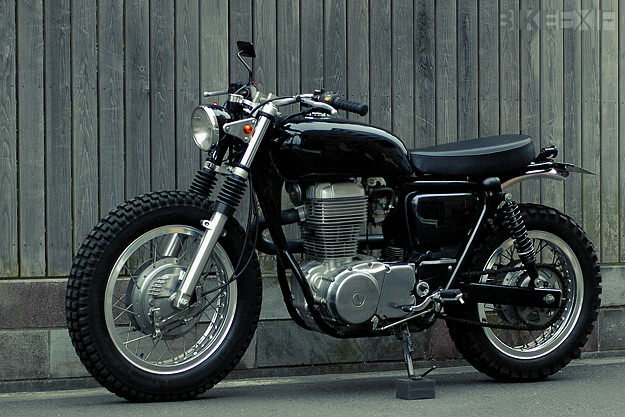 This Suzuki ST400 Tempter is one of Speedtractor’s first builds, and it’s a beauty, in a chunky kind of way. 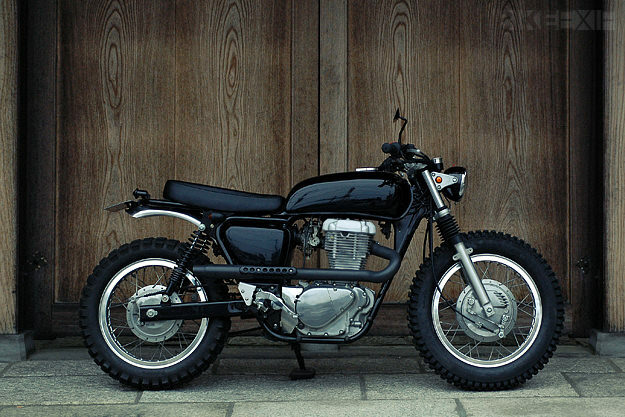 The client wanted a street scrambler that he could hit the dirt with on the way home: believe it or not, Tokyo has some “in-the-know” dirt tracks along the beds of the rivers that run through the urban sprawl. And that’s where this machine, called the T61 Catalina Special, gets to play dirty. The tracks are “run” by locals, but the police generally turn a blind eye. 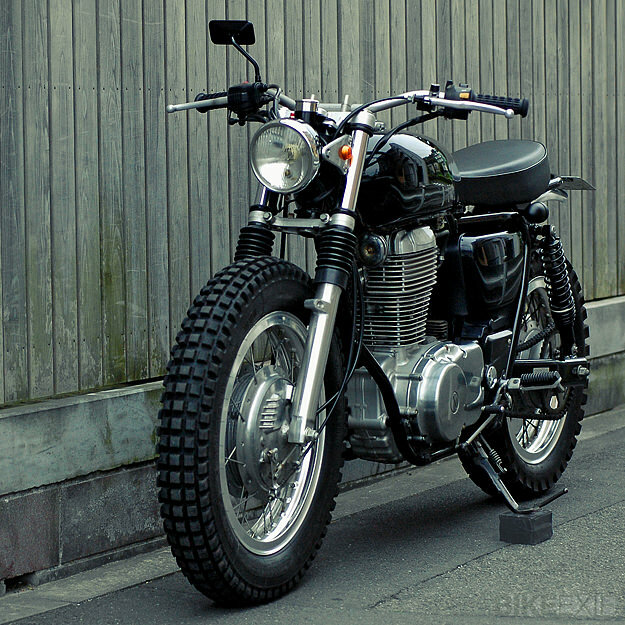 The Suzuki 400cc single motor—best known for its presence in the Savage bikes in the West—puts out plenty enough grunt, so motor upgrades were kept very modest. Speedtractor retained the airbox due to wet riding conditions, but opened it up a bit. 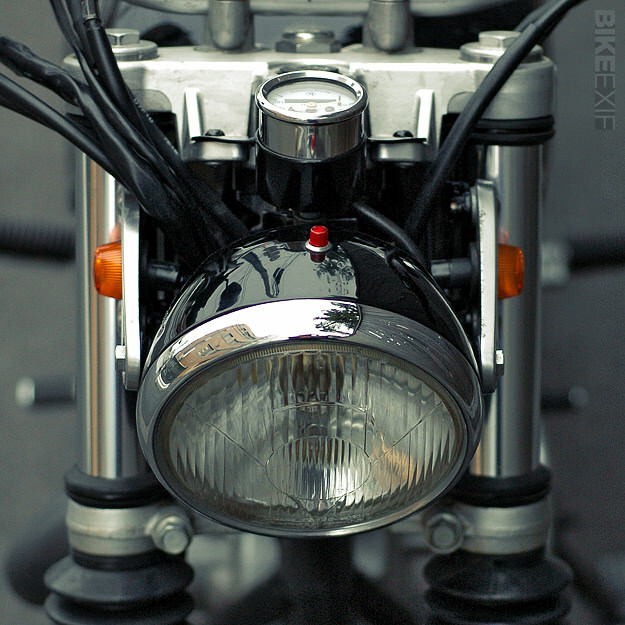 The filter has been replaced with a free flowing K&N element, and the carb jetted up to make use of the custom pipe’s fondness for expelling hot gases with haste, despite internal baffling. The front shocks were overhauled and internal spacers modified to give the maximum travel possible. 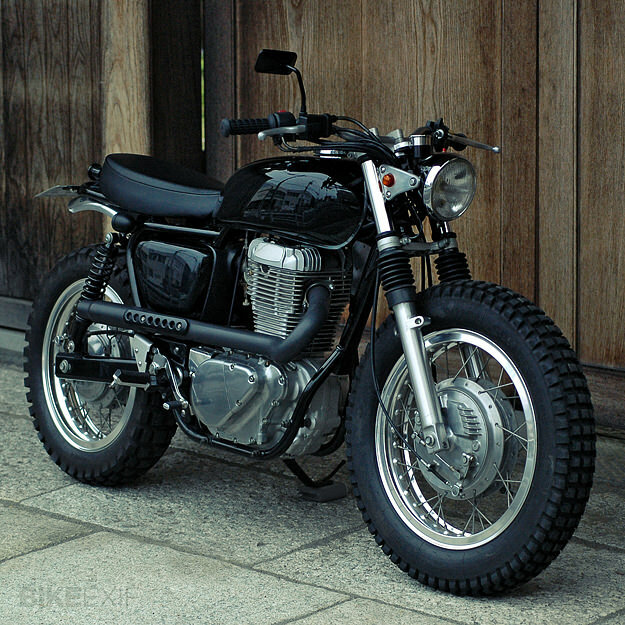 The oversize front tire is to help compensate for the lack of front suspension travel, and the rear twin-shock suspension is now dual rate long travel. Frame-wise, all the metalwork behind the rear shock mounts was removed and a simple looped sub-frame fabricated. It gives the bike a clean visual line, parallel to the exhaust, from front of the tank through the short seat to the stop light. According to Speedtractor’s Matt Roberts, the Suzuki’s now bearing a few scars: it’s had “a little lie-down for a rest occasionally.” The owner rides it with enthusiasm, and is no stranger to mud. And every now and then, he takes it back to the shop for a little tweaking and improvement. I think it’s pretty much perfect as it is. To see more, head over to the Speedtractor website.